This thesis inquires into the role that state identity plays in shaping its international relations, positioning, and foreign policy. Taking the post-independence Algerian state as a case study, it examines the causes of the shift in Algeria’s international behaviour over the past several decades. In particular, it considers Algeria’s shift from an anti-systemic actor (1962 – 1979) to a systemic one (1991 to present), with the intervening period (1979- 1991) as a transitional phase in which the state’s former identity was discredited and abandoned, and a new identity constructed in its place. This thesis argues that the Algerian state’s post-independence history can be read through identity construction lenses. These can be broadly divided into three main phases, in which the Algerian state has assumed differing identities that have conditioned the possible and the actual in Algeria’s foreign policy options. The first period, which was characterized by an anti-systemic, revolutionary, third worldist, Arab nationalist and pan-African identity, stretches from the dawn of independence to the end of Houari Boumediene’s reign (1962-1979). The second period coincides more or less with Chadli Ben Djedid’s presidency and may be referred to as the long decade (1979-1991), which was largely a transitional phase in terms of Algeria’s state identity transformation. The third and final period covers the last two decades or so (1991-present) and represents the systemic phase in Algeria’s history. As an Algerian, I was baffled by the radical shifts in Algeria’s international priorities. I could not comprehend how a one-time ardent supporter of the international principles of state sovereignty and non-intervention, and a champion of third-worldist aspirations of self-determination and liberation, could become a key ally in the so called Global War on Terror. In particular, how it could engage in close security and intelligence sharing and cooperation with former and/or (neo) colonial powers, open its airspace for a former colonial power to intervene in its southern neighbour, Mali (a fellow ‘global South’/African state). At the time I undertook an MSc in International Relations Theory, the academy was hotly debating the relevance of traditional approaches to the study of world politics. The mainstream (neo)realist and (neo)liberal theorists had failed to account for major transformations in the international system, thereby engendering a period of soul-searching within the discipline. For those working within the (neo)realist and (neo)liberal traditions, the fabric of international politics is essentially material. As such, actors’ power and position within the international system are dictated by the number of tanks and military planes they possess (although neoliberals attempt to acknowledge the role of preferences, they still hold that they are exogenously given). These actors are perceived to be inherently self-interested units (i.e. their main concern is survival and utility maximisation) operating in an anarchic/self-help system. The only change possible according to this worldview is a shift in the balance of (material) power. This commitment to ontological materialism and a logic of consequences, coupled with the belief that interests are static and fixed a priori, set up theorists, working in the mainstream International Relations (IR) traditions, for failure when it came to accounting for change in the international system. This became particularly apparent vis-a-vis their failure to predict the fall of the Soviet Union and the end of the Cold War. If all that mattered were the material aspect of international relations, then what has changed? The tanks, warplanes, and nuclear weapons that the Soviets possessed were still there the next morning, yet relations between former enemies had transformed dramatically almost overnight. Therefore, alternative explanations had to be found elsewhere. With the above as backdrop, my interest in the ideational and social dimensions of world politics was sharpened. Building on the work of social constructivists, structuralists, and postmodernists, I was keen to investigate the role that identity plays in forming a given actor’s interests, and the ways in which identity in turn structures and/or informs an actor’s actions. The choice of a single-case study is also underpinned by the value of an in-depth N=1 case study, which allows for the examination and specification of the relations between initial conditions and outcomes with much greater precision and accuracy than any large-n quantitative study. The importance of this research resides in the fact that it foregrounds ideational and social dimensions and factors in the study of IR and world politics. It demonstrates how an actor’s identity and self-perception, impact upon whom its friends/allies and enemies/threats are and, therefore, conditions its actions towards other actors. This approach goes beyond the material explanations offered by traditional IR theorists and renders intelligible phenomena that cannot be comprehended through traditional lenses. This approach, for example, can account for the reason the United States finds actual British or Israeli nuclear arsenals less threatening than a hypothetical and/or potential Iranian one. This research project intended to contribute methodological, theoretical and empirical insights to the disciplines of International Relations and Middle East and Studies in general, and to the study of Algerian politics, history and foreign policy, more specifically. It sought to make a modest, albeit multi-faceted, contribution. First, it was hoped that this study would add to the relatively limited (especially in English) body of literature on Algerian political history, state building, foreign policy, and state-society relations. Second, the study’s focus on ideational aspects attempted to offer a unique angle from which continuity and/or discontinuity in international relations in general, and in Algeria’s post-colonial history in particular, can be read and comprehended. Lastly, it sought to make a methodological contribution to discourse analysis as a research project. It did so by providing exciting new empirical material to broaden the discipline’s understanding of how discourses are operationalized in the context of identity construction and foreign policy making. Brahim Rouabah holds a BA in Philosophy & Islamic Studies from Middlesex University (London). In 2011, he obtained an MSc in International Relations Theory from the London School of Economics and Political Science. 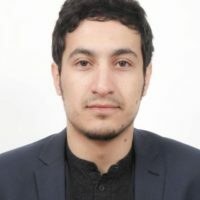 In 2012, Mr. Rouabah joined the Center for the Study of Islam and Democracy (Tunisia) as program officer, and is currently the Regional Programs Manager with the American Institute for Maghrib Studies (AIMS). I am currently an LSE student in IR and i would like to read your thesis. Could you email it to me please?